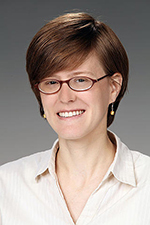 Dr. Susannah Burrows, atmospheric researcher at Pacific Northwest National Laboratory, was quoted in the IOP community website, environmentalresearchweb for her recent co-authored paper, "Prospects for Simulating Macromolecular Surfactant Chemistry at the Ocean-Atmosphere Boundary" published in Environmental Research Letters. Until recently, most atmospheric climate models treated sea spray as sea salt. As explained in the paper, researchers are beginning to quantify and evaluate the large amount of organic matter in sea spray, finding its composition varies hugely depending on local conditions. For the first time, climate models can mechanistically predict the amount of organic matter in sea spray. Burrows is a climate modeler whose research explores chemical modeling of marine biogeochemical influence on submicron sea spray particles.